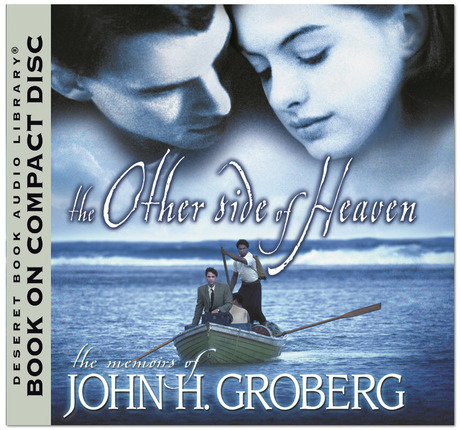 The missionary memoirs of Elder John H. Groberg, found in his popular book In the Eye of the Storm , can be enjoyed as a major motion picture And now, for the first time, In the Eye of the Storm will be available in paperback retitled The Other Side of Heaven . This first-person account tells the fascinating story of the three years he spent on the islands in the South Pacific amidst a kindly people who had a deep faith in God, a faith that provides the backdrop for Elder Groberg's accounts of miraculous healings, protective warnings, and perilous voyages; for such stories as: The emergency night voyage on a turbulent sea, and the anxious search for the only guiding light into the destination harbor. The boy whose apparently lifeless body was handed to the missionaries with the words, "Here, make him well again — you have the power." The storm that overturned the boat, throwing missionaries into the raging sea. The hurricane that hit the little island. The hunger when the usual supply boat failed to show up. And much, much more. This remarkable book paints a vivid picture of missionary life in a society geared to "a different way of thinking." But it is far from being solely a collection of stories. To the experiences it recounts, the author has added observations on the scenes and circumstances that in an inspiring way bring out the gospel principles involved. Given this combination, the total effect of the book is that from the time readers reach Tonga with the young missionary they will be engrossed in his story until the end. Elder John H. Groberg is a native of Idaho Falls, Idaho. In April 1976, he was called to the Quorum of the Seventy of The Church of Jesus Christ of Latter-day Saints. Prior to that time, Elder Groberg had served as a regional representative of the Twelve, a bishop, and a mission president in Tonga, where he had earlier served as a full-time missionary. He is the author of In the Eye of the Storm (on which the movie The Other Side of Heaven is based), The Fire of Faith, and Anytime, Anywhere. Elder Groberg and his wife, Jean, served as president and matron of the Idaho Falls Idaho Temple from 2005 to 2008. They are the parents of eleven children and reside in Bountiful, Utah. I loved the movie, but the great thing about this was that after every "story" he told, he bore his testimony and showed how that experience helped him strengthen his testimony. What a great story, of a great man. 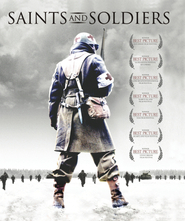 Very well made movie. If I ever go to Tonga I will remember to wrap my feet in my blanket. This is my all time favorite movie. I can watch this over and over again. It has everything from adventure and comedy to a love story all in one. This movie reminds me of how lucky I am to be blessed with all that I have been. This is definately a movie that should be in everyone's movie collection. I have seen this movie three times and I love it!!! So inspiring!! A must for any Families collection. I love to be able to witness this mission's testimony through Elder Groberg. He tells a compelling story. I read the books and loved them too. For two non-members to take on this project was just the best. Elder Groberg was a missionary that taught the gospel under harsh and often times trying conditions. This was a really great movie. I loved the story, acting, and even the music was wonderful. Beautifully made and very inspiring! Loved this movie and would recommend it to anyone. 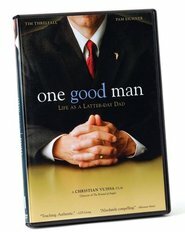 The best made LDS drama in my opinion. Did you notice that this isn't actually recognized as an Excel production? It wasn't made just for us. The company recognized that, no matter what church the viewers might attend, they could appreciate Brother Groberg's faith, sacrifice, and service. Hence the reason why the book tells his story more from an actually LDS perspective: The book was written mainly for us, and while we appreciate the movie more than others, the movie was truly meant for everyone. This is such a great movie! 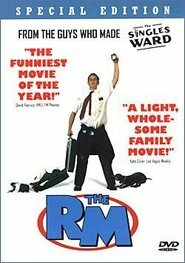 I would recommend this one for a nonmember to watch so that they could see a little insight to what it might be like to serve an LDS mission. This movie is a great movie! It makes you feel very grateful for everything you have! I love how even though he is where he doesnt understand much of the language he never gives up! It is a great movie! Interesting, exciting, uplifting, faith-promoting. And a real life story too!! I was moved by the honesty and truth in the telling of this story. Inspiring, exhiliarating, and tremendously insightful. My wife and I read the book together and were inspired and exhiliarated with each chapter. We could read it again and again. It makes a wonderful gift, especially to a missionary just returning from a mission! A profound & spiritually uplifting book. This is a great book. Compared with the movie, the book is not quite as 'polished,' but I thought it far surpassed the movie in spiritual content. The insights that Elder Groberg gained as a young missionary are amazing. By sharing these, he teaches some of the most important lessons about the gospel and life I have ever gotten from a non-scriptural source. While I liked the movie, if someone asked me which would be a better investment of time and money, I wouldn't hesitate to recommend the book over the movie.